Kevin Harvick started fifth, finished 22nd. The Jimmy John’s Ford ran as high as third but dropped to midpack as Harvick raced on the bottom and the top line advanced. Harvick opted to drop back with three laps to go in the stage to avoid any potential incidents. The Jimmy John’s team came to pit road at the end of the stage for four tires and fuel and to reattach two vent hoses on the passenger side of the car. The team made a second pit stop to fix a “massive vibration” and make sure the tires were properly secured. Harvick was collected in a multicar wreck on lap 53 to bring out the second caution of the stage. The Jimmy John’s Ford was damaged, but the team crew went to work making repairs to the left side of the car. The team lost a lap during the repairs but was able to continue. The No. 4 made a second trip to pit road under caution to top off fuel on lap 61. The Jimmy John’s team raced to the free pass position at the conclusion of Stage 2 to return to the lead lap. Harvick came to pit road for four tires, fuel and adjustments at the conclusion of Stage 2. Started 25th and finished 19th. The No. 4 Jimmy John’s Ford raced from 25thto the third position early in the final stage. Harvick surrendered the lead under green-flag conditions on lap 123 for right-side tires, fuel and adjustments. The Jimmy John’s team came to pit road under caution on lap 125 for four tires and fuel from the 12thposition. Harvick noted he had a piece of debris lodged in the nose of the car, and the team made quick work of the repairs. Harvick restarted sixth on lap 136 following a caution and immediately raced his way up to the second position. He restarted second with six laps remaining and raced to the lead before a caution flag flew on lap 156. Harvick led the field to green on lap 161 with teammate Clint Bowyer lined up right behind him as the race entered overtime. The Jimmy John’s Ford was collected in a multicar wreck during the first overtime attempt and was unable to continue. 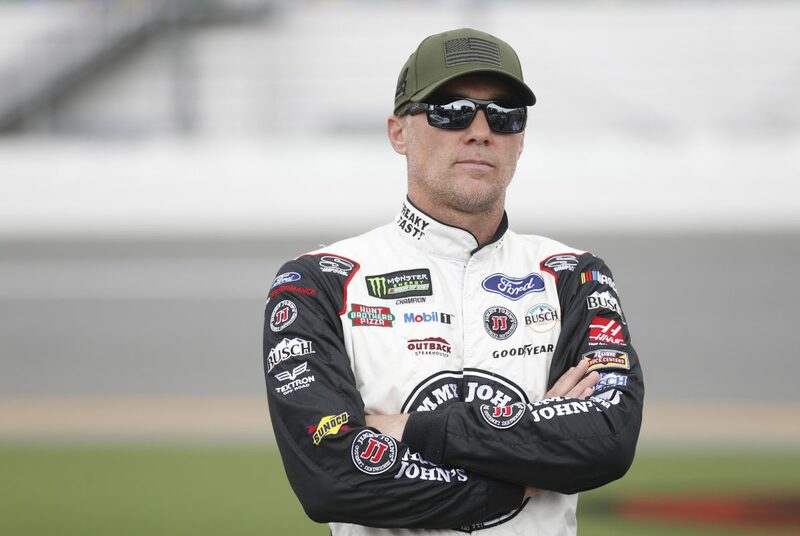 Harvick led twice for eight laps to increase his total at Daytona to 244. Erik Jones won the Coke Zero Sugar 400 to score his first career Monster Energy NASCAR Cup Series victory. His margin of victory over second-place Martin Truex Jr. was .125 of a second. There were 10 caution periods for a total of 46 laps. Only 13 of the 40 drivers in the Coke Zero Sugar 400 finished on the lead lap, with 20 drivers unable to finish after being collected in accidents. The next event on the Monster Energy NASCAR Cup Series schedule is the Kentucky 400 on Saturday, July 14 at Kentucky Speedway in Sparta. Coverage of the race begins at 7:30 p.m. EDT on NBCSN.